And because I'm on a roll. I'm sharing ANOTHER video! 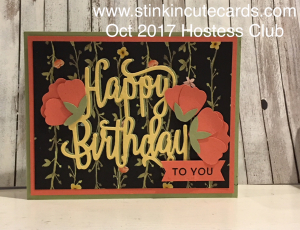 So here it is…I absolutely love this Happy Birthday Thinlet. Think about ordering it on Monday when there is FREE shipping..